Recap of FMC1 tournament, which took place on Friday, December 22nd at 2:00 PM CET. 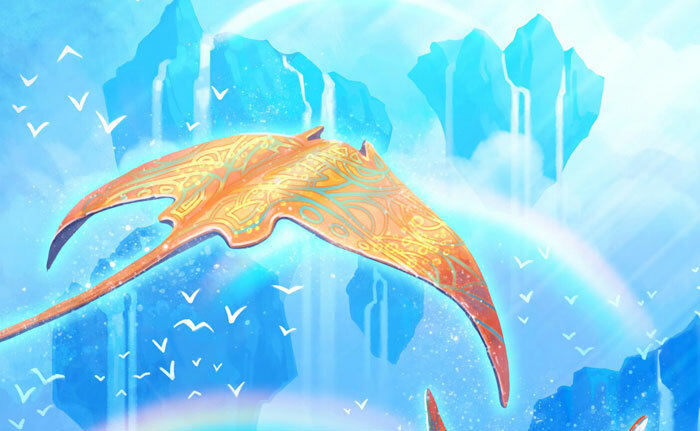 1 faeria increase on Windstorm Charger by the latest balance-patch changed SuperbLizard's mind about the soul of "Y Tempo" deck. Windstorm Chargers out, Windstorm Colossi in ("Y Tempo" out, "Y Events" in?). More Colossi! Rare arch-type with a synergy of Gabrian Commander and Colossi of 2 different colors. An excellent place for "improved" Mystic Beast as well. Donpork borrowed this deck from Luuu90 .. as well as the "2nd place curse". Who said Khalims Followers have to be played offensively? A Novel arch-type on a competitive scene! A set of cards from Y rush, Y mid-range and Y control decks, against which opponents had been struggling to find a good counter. Donpork had to dig deep after he lost 2 consecutive games to Kodlaci's "Y Control Sac" in the semi-finals. Donpork considered 11! different decks for countering the "uncounterable" Kadlaci's deck and chose "BY Double Colossus" one, which proved to be the perfect pick letting him have an unbelievable 3:0 comeback and a ticket to the finals! Majority of all matches in the tournament ended with a result 3:2. SuperbLizard (the Amish of the tournament) obeyed by deck restrictions of previous Faeria Monthly Cup and used only mono-color decks throughout the entire tournament. SuperbLizard's Y rush deck was named "cancer". The first Matrien's stream ever is of this tournament. A lot of unique multi-color decks .. and mantas. Not a lot of BG decks. 16 players in total competed in the tournament. Seeding represented player's presumptive strength. ChaeHolic (seed #1) was replaced by BoBBiN (U.S.) in round-1, because of the car accident. Ewey forfeited after losing 1 game against Skc. The tournament lasted 4 hours. Tournament's deck rules were less restrictive than ones of previous Faeria Monthly Cup. This allowed less experienced players to play decks they want and can, and more experienced players to have more counter options to decks they lost to. No yaks were harmed during the tournament. Faeria Manta Cup #2 on Battlefy. "MATCH Check In" will be disabled.